Monochrome is a psychological thriller about a disillusioned young woman who flees to the countryside after her boyfriend is arrested for hiding millions of pounds of stolen pension funds. Relying on casual work from wealthy landowners to survive, Emma reacts against her indentured servitude with extreme violence, soon making her one of the most wanted killers in the country. To hunt Emma down, the newly formed British Crime Agency hire a brilliant detective with the unusual neurological condition of synesthesia. Will he find her before more lives are lost and can he solve the secret of the hidden millions? The film stars exciting new British talent Jo Woodcock (Land Girls, Dorian Gray) and singer songwriter Cosmo Jarvis, alongside a supporting cast which includes BAFTA winner James Cosmo (TV's Game of Thrones, Braveheart), Patrice Naiambana (Son of God, Highlander: The Source), Lee Boardman (London Boulevard, Jack & The Giant Slayer) and Steve Jackson (TV's Coronation Street), Liz May Brice (Resident Evil, Black Mirror). 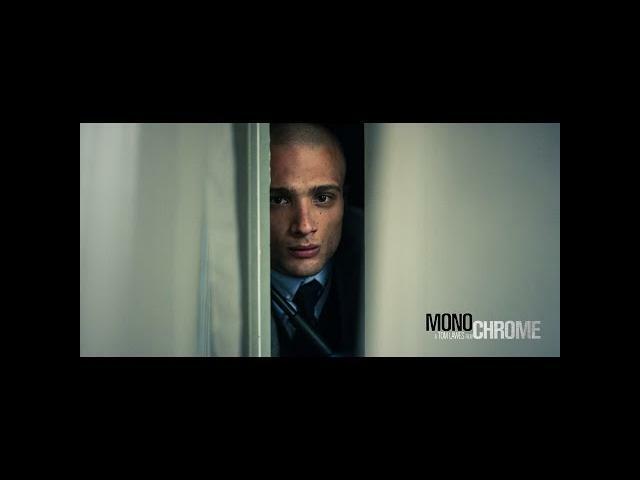 Monochrome is directed by Tom Lawes, the director of the critically acclaimed 2012 documentary The Last Projectionist - which was officially selected for the BFI archive - and the award winning Southside Stories short films, which won two Royal Television Society awards.